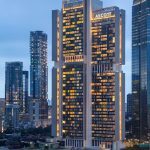 Jakarta, the newly opened Ascott Sudirman Jakarta and Ascott Kuningan are all located within Ciputra World – a mixed-use multiplex development in Jakarta’s thriving Golden Triangle Central Business District. units across 39 cities in Indonesia. 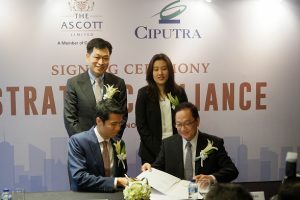 well positioned to meet the burgeoning demand from corporate and leisure travellers.” Mr Artadinata Djangkar, Ciputra’s Senior Director, said: “Ciputra has enjoyed a strong partnership with Ascott for over two decades. We have properties in cities such as Jakarta, Semarang and Surabaya in Indonesia with potential to be developed into serviced residences. In Indonesia, Ascott offers the growing number of travellers a wide range of well-located serviced residences and business hotels across key cities such as Jakarta, Bali, Bandung and Surabaya. 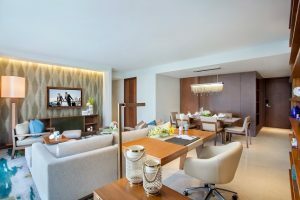 Demand for quality accommodation in Indonesia is booming with its rising middle-class population and its growing attractiveness as an investment and tourism destination. This is especially so in the capital city of Jakarta, an important business hub and popular destination for corporate meetings and business conferences. Indonesia saw more than 14 million overseas visitors in 2017, an increase of over two million from 2016 3.
Business and leisure travel spending is expected to rise respectively by 7.1% and 5.4% per year to 20284.